As trade unionists we act in the spirit of working class internationalism and in defence of human rights, equality and justice. Based on these principled commitments, we unequivocally denounce all forms of racism, and we firmly believe in and defend the right to freedom of expression as a central and fundamental aspect of real democracies. We observe with deep concern how at Israel’s request, Western governments are passing anti-democratic legislations seeking to outlaw legitimate criticism of Israel for its serious human rights violations. Such policies not only curtail the right to freedom of expression but furthermore, they deny Palestinians´ right, as oppressed people, to criticise their oppressor and to advocate for their rights. Particularly worrisome is the case of the promotion and implementation of the “International Holocaust Remembrance Alliance’s (IHRA) Working Definition of Antisemitism” by European Institutions and European governments. This document has been the subject of much criticism and concern. The IHRA document is composed of a brief, 40-word definition of antisemitism and a list of examples of what, its authors argue, may constitute antisemitism. Some of these examples suggest that criticism of the State of Israel for policies that violate fundamental rights of the Palestinian people, including racial discrimination and the illegal settlements and annexation of occupied Palestinian territory, would be antisemitic. The document, thus, poses a grave risk to the right to freedom of expression by conflating legitimate critique of Israel’s laws, jurisprudence and/or policies, with antisemitism. Moreover, there is strong evidence that the IHRA working definition is already being used in practice to restrict, outlaw and criminalize such criticism and peaceful efforts for Israel’s respect of Palestinian human rights, as explained in the fact sheet published by the European Coordination of Committees and Associations for Palestine (ECCP). Kenneth Stern, the author of the working definition, has repeatedly emphasized that the definition was meant for monitoring and data collection on antisemitism only and strongly opposes the use of the working definition for domestic control of free speech. Advocating for Palestinian rights and seeking to hold Israel accountable for the flagrant violations committed against the Palestinian people is a moral and ethical responsibility that should be promoted and protected by each and every so-called democratic state or institution. 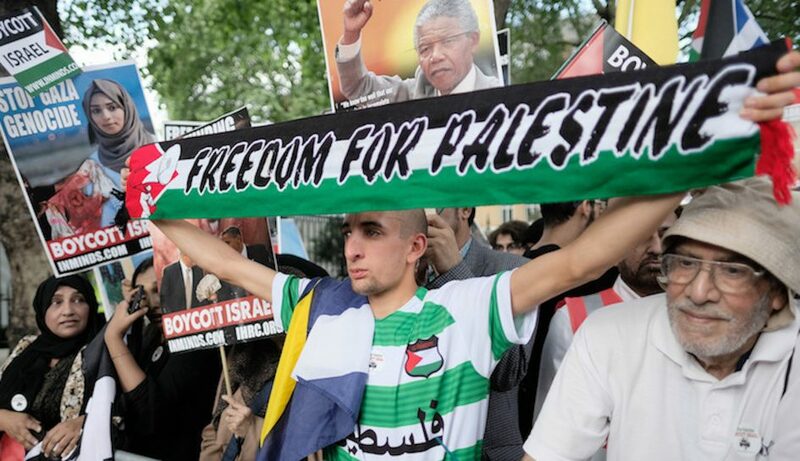 The IHRA working definition of antisemitism and its accompanying examples, rather than providing a framework for fighting antisemitism, is a tool for criminalizing the Palestine solidarity movement. The adoption of such definition aggravates the long-term injustice done to the indigenous people of Palestine, it silences Palestinian narratives and contributes to the maintenance of the Israeli regime of apartheid, settler colonialism and illegal occupation. If your organisation would like to endorse the statement please fill in this form.